This dessert is simple, delicious and colorful…the perfect treat for the holiday weekend BBQ. 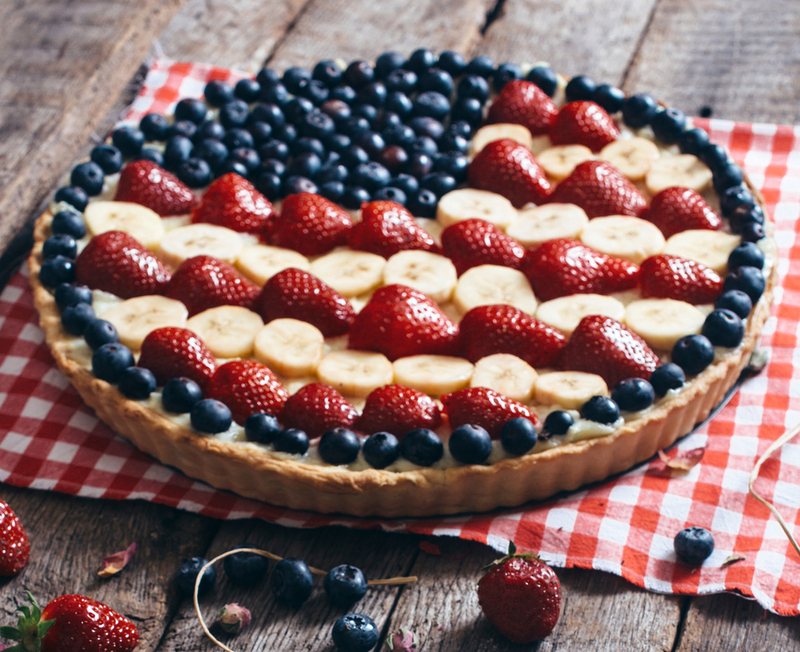 Please Note: The strawberries and blueberries give it a patriotic feel but feel free to substitute any fruit. Bananas are a nice alternative as well as other berries. Line a 16 inch pizza pan with dough then crimp the edges. Bake for 8 minutes at recommended temperature then cool. Combine sugar, cream cheese, vanilla and spread over crust. Arrange fruit over the cheese mixture. Heat jelly to liquid state. Add gelatin and stir quickly to dissolve. Remove from heat and add water and mix. Pour over fruit tart. Keep cool in refrigerator until serving.